I’ve recently discovered breakfast quinoa and I’m totally in love. 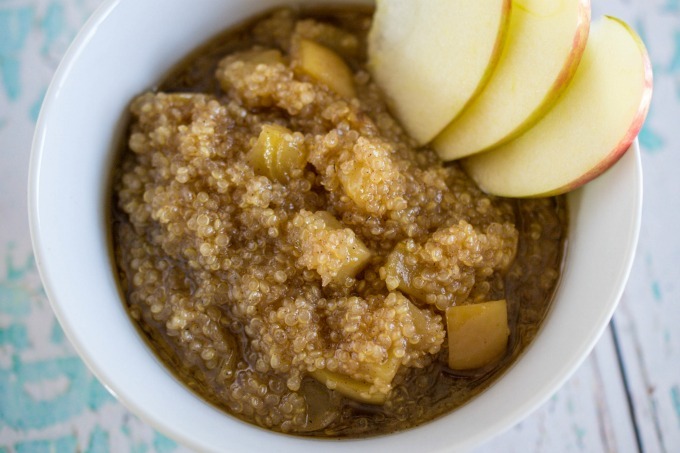 I love that I’m getting lots of fiber and protein to keep me full for a long time, and I love that quinoa is really versatile like overnight oats so you can make it in a lot of different ways. 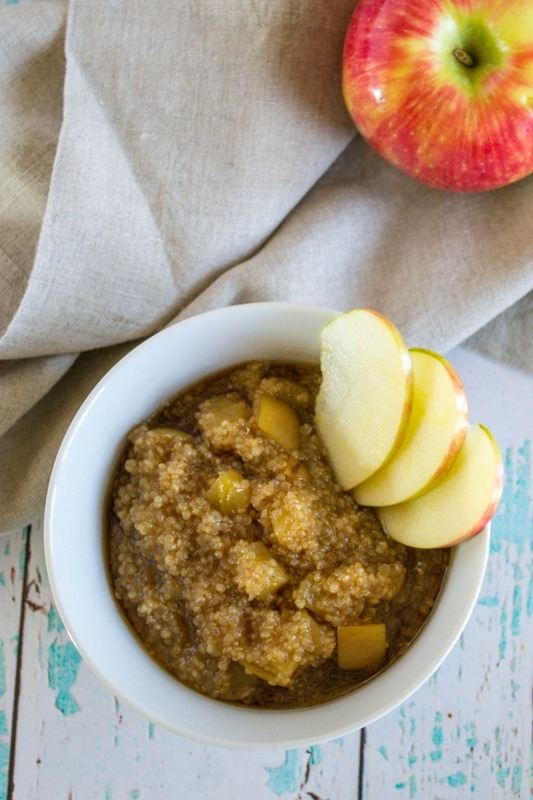 I decided to combine quinoa with real maple syrup and the sweetly tart flavor of Honeycrisp apples for this seriously delicious recipe. One of the things I really loved about this recipe is that it’s sweet, but not too sweet. Sometimes I’ll order a dish like this at a restaurant and I’m overwhelmed by the sugary taste. 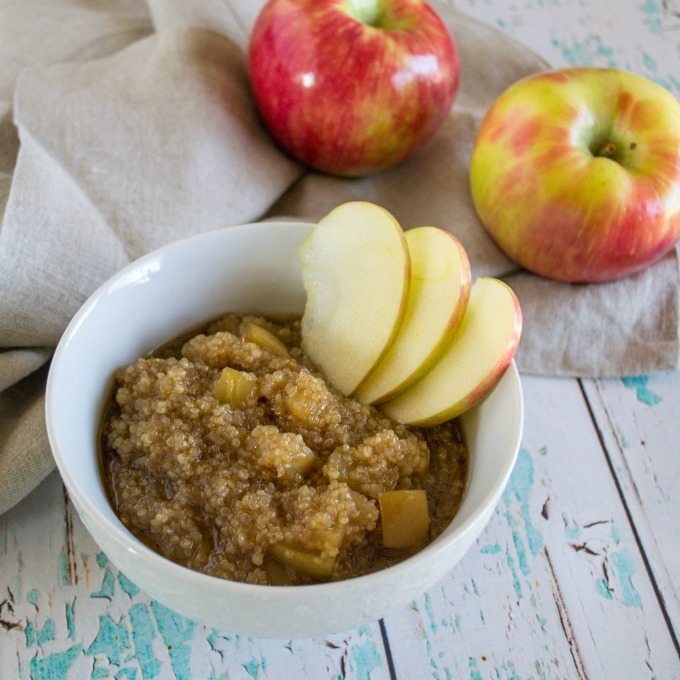 The maple syrup and the sugar from the apple provide a mellow sweetness without being too much. 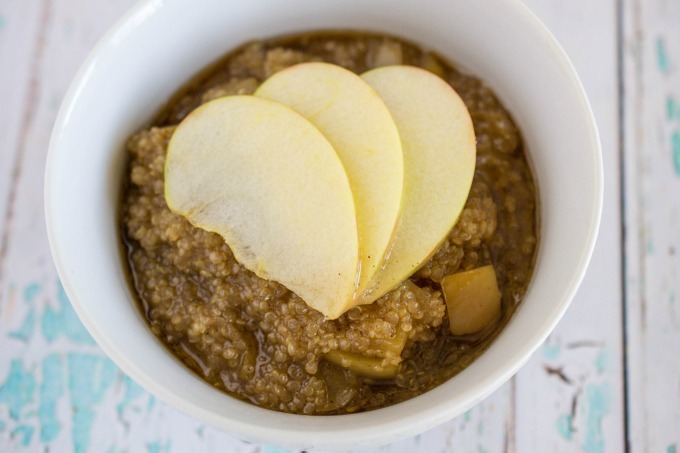 I used Honeycrisp apples to make my Maple Apple Breakfast Quinoa, which are a family favorite at our house. They have a really great texture and a fresh, crisp taste. You could use any apple you like, of course. (This could be great with a Granny Smith apple!) But, if you’re looking for apple suggestions, definitely give Honeycrisp a try. This yummy #vegan breakfast will keep you full all morning long! Confession: I’m usually a pretty lazy cook. So, I actually made this in my rice cooker. I threw all of the ingredients in, set the rice cooker, and stirred things every once in a while. (I have a small, very basic rice cooker like [affiliate link] this one.) When the rice cooker flipped from “cook” to “warm,” everything was perfectly cooked. But, you could just as easily cook this on the stove. Combine all ingredients in a saucepan and simmer, stirring occasionally. Simmer for 1 hour or until quinoa is fully cooked and coconut milk is reduced and caramelized. Serve warm or cold, whichever you prefer. Top with optional drizzle of maple syrup. Optional: substitute coconut milk for almond milk, dairy milk, or other milk of your choice. I’ve always considered doing breakfast quinoa, and I never have. But this sounds fantastic!